Philippine immigration authorities say they have arrested an American Roman Catholic priest accused of sexually assaulting altar boys in a remote central town in a case one official described as "shocking and appalling". Bureau of Immigration spokeswoman Dana Sandoval said Thursday the Rev Kenneth Bernard Hendricks, who has been indicted in Ohio for alleged illicit sexual conduct in the Philippines, was arrested in a church in Naval town on the island province of Biliran. An Ohio court had issued a warrant for the arrest of 77-year-old Hendricks, who has been living in the Philippines for 37 years, Ms. Sandoval said, adding that the US criminal case stemmed from complaints from Filipino minors who were allegedly victimised in the Philippines. There was no immediate reaction from the US embassy, Philippine Catholic church officials or Hendricks, who was flown to Manila and detained in an immigration cell. The suspect allegedly abused seven victims, who served mostly as altar boys in Naval, in 50 counts of molestation in his residence in a case that's "both shocking and appalling,'' Ms. Sandoval said. ``The victims were in his house and the abuses were committed while he was taking a bath with each of them,'' Sandoval said by telephone. US authorities provided information about the alleged sexual assaults to the Philippine government, she said. "Several of his victims have come forward with their statements,'' Sandoval said. 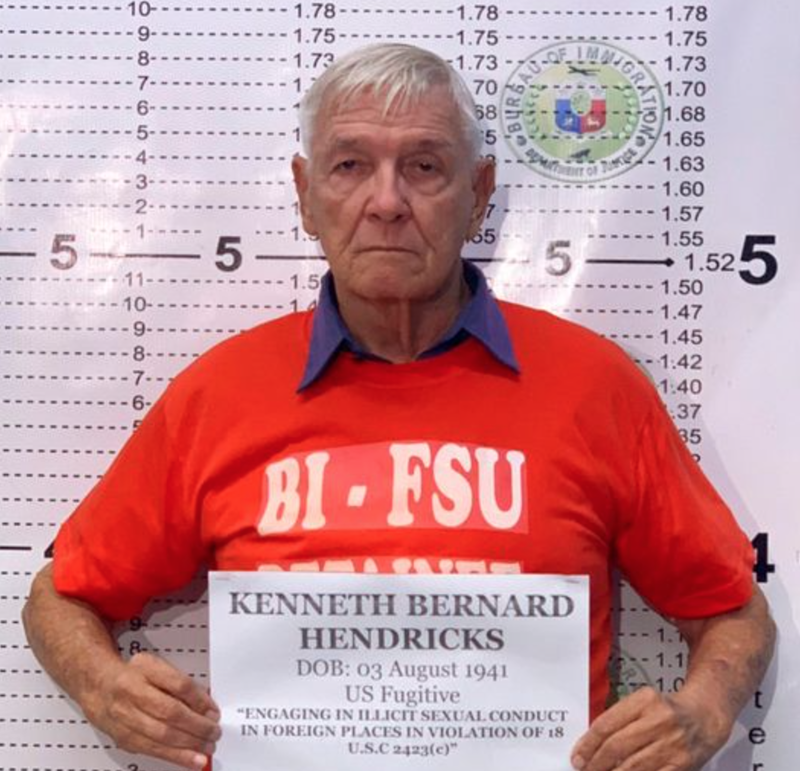 The US Embassy may revoke Hendrick's passport to help Philippine authorities immediately deport the priest, the immigration bureau said in a statement. Philippine President Rodrigo Duterte has repeatedly lashed out at the dominant Catholic church and its priests over such abuses, saying he himself along with other students were sexually molested by an American priest in their high school days. 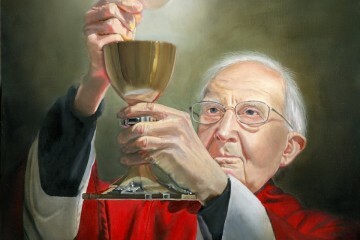 In separate speeches Wednesday, the volatile leader claimed almost 90% of Catholic priests were homosexual and also admonished Catholics to "kill your bishops, they are useless fools. All they do is criticise". "I'm telling you, the most hypocritical institution in the entire Philippines is the Catholic church and the pope knows that,'' Mr. Duterte said. A Catholic priest and Mr. Duterte critic, Amado Picardal, said the president's remarks on the church may be aimed at diverting public attention from his widely criticised deadly war on drugs, the government's failure to stop the smuggling of illegal drugs into the country, continuing poverty, corruption and other issues. He said Mr. Duterte may also feel threatened by the Catholic church, which played a role in the ouster of two Philippine presidents, including the 1986 overthrow of dictator Ferdinand Marcos. "Many people believe that his controversial statements are simply a way of diverting the people's attention from the real issues raised against him,'' Picardal said.